Recalling memories of my 3 years of synchronistic flow that took place roughly between 2009 and 2012. There are many threads I have shared verbally, though I usually focus on the strongest “impossibility” stories. In going through photographs, I was reminded of another wonderful example of my experiences. Prior to leaving for Morocco, my friend Annie Abdelnour had contacted me via email. She had heard from a mutual friend that I was going to Morocco, where she was currently taking residency. 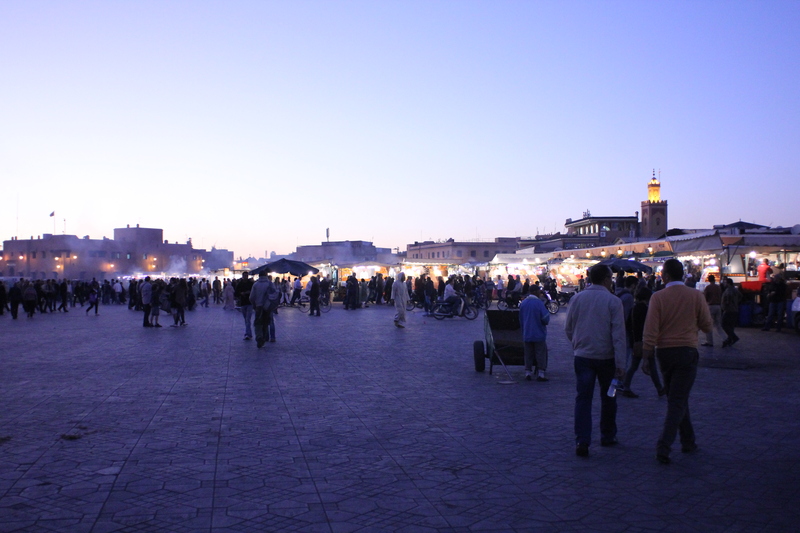 She was staying in an eastern region of Morocco, about 7 hours away from Merrakesh. Merrakesh was as far east as we were traveling on our trip through Morocco, so we acknowledged that a meetup probably wasn’t in the cards, though she said that would follow up with an email with some Moroccan survival tips. On our second day in Merrakesh, I decided to checkout an internet cafe to check my email. Due to the funky keyboard, it took me about 10 minutes to get into my email account. My inbox contained an email from Annie that contained her Morocco survival tip sheet, along with her contact number. Since I knew we were not heading east, I didn’t bother writing down her number. However, one of my travel companions pointed out, “Well, there’s phones right here. You might as well try to get a hold of her.” I agreed and went back into the internet cafe and spent another 10 minutes getting into my email to write down her number, then immediately went to the phones to call her. She was in the food courts about a 10 minute walk from where I was standing. Before I knew it, I was sitting with an old friend, drinking some Moroccan mint tea and some avocado lassi, while sharing tales of our travels. We sat there talking for an hour or two, before she had to head home for some rest, as she was leaving Merrakesh by bus, early the next morning. How strange it felt to meet up with a familiar face, in a far off place, within such a short window of time. To think that I almost disregarded the possibility of meeting with her. As usual, I was tempted to label the situation as “weird”. Yet, in the moment, I remembered the advice of another soul who was following his path. He warned me to not label the experience as “unbelievable” or “weird”, as it will only remove one from the synchronistic flow. It was great advice that kept me in the moment, open, and ready for the next adventure that life had in store for me. I received goose-bumps no less than 3 times during the newly released trailer for Cloud Atlas, being directed by the Wochowski Brothers (“The Matrix”) and Tom Tykwer (“Run Lola Run”). Yeah, 3 directors. Here’s a link to the trailer and commentary. Last month, I was in a tea shop where someone noticed me looking at this book on the shelf. They immediately started telling me about the story, which is of connectedness that stretches from the past and into the far future. I was allowed to borrow the book to read… but haven’t started it yet. Today I finished two books I was in the process of reading… both books dealing with the subconscious. My eyes were exhausted, and I promptly passed out. After my nap, I woke up to see this trailer at the top of my FB feed. 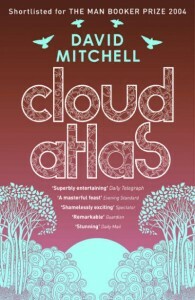 I *think* today would be a good day to start reading Cloud Atlas. P.S. I even I loved the Wochowski brother’s Speed Racer movie. This triggered the memory of a good friend of mine who I am losing touch with. Over a decade ago he gifted me a copy of the Unbearable Lightness of Being (if memory serves). Unfortunately, that book has been stored away in storage this entire time. I never had a chance to read it. Inspired by this occurrence, I emailed him immediately, saying that I found a copy of the movie and I will watch it the very next day. The next day (today), I am walking back home from a nice breakfast. I stop by Value Village and take a look at the books. I am looking for technical web development books, but find nothing. 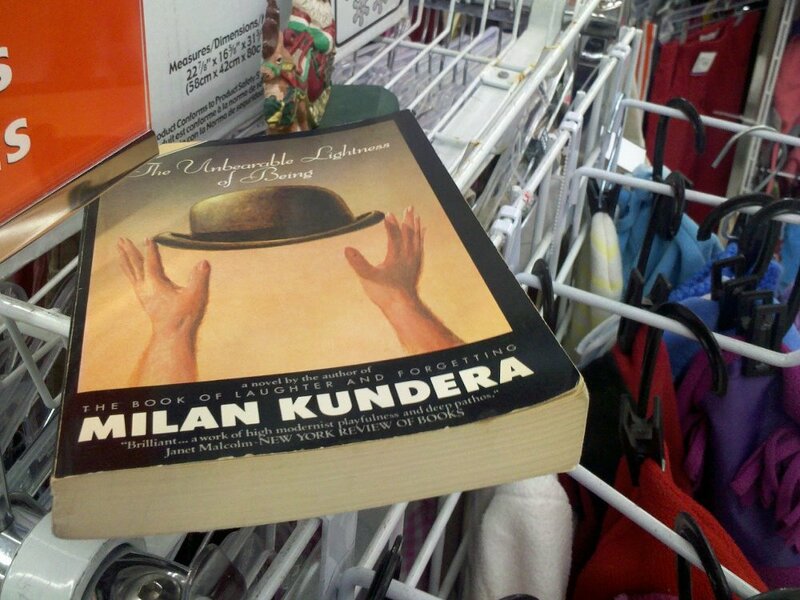 On the way out, I see a book that has been misplaced on top of a clothing rack, on the opposite side of the store from the books section. I almost ignore it and walk by, but my gut convinces me otherwise. 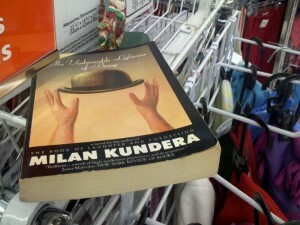 I walk over to the book and behold… The Unbearable Lightness of Being. I snapped a picture immediately and purchased the book. This part of the message stuck with me. Easy to judge her as crazy? In this world, sure is… yet the point remains valid. The next night, at my cousin’s wedding, I was looking forward to dancing. As always, I had to wait till more people got boozed up enough to dance. I usually find it difficult to throttle back. It’s all or nothing. Either I just sit down and have more cake, or bounce around like a monkey till my shirt it soaked. That is when I noticed the man with down syndrome. He was break-dancing on the dance floor. I joined him. We battled and inspired each other to do things we hadn’t done before. He did some popping and I did a backspin. The rest of the people didn’t exist. Though brief, this was some of the most fun I have had dancing in a long time. I didn’t feel like I was “pushing” myself, but I certainly was going beyond whatever I had tried in the past. For the rest of the night the family was pushing us to break it out again, but we couldn’t because it wasn’t about us anymore, it was about a show. Putting on a show has a totally different vibe. A vibe that doesn’t contain as powerful an energy. I guess Little Grandmother was right. This particular star brother existed… and he taught a valuable lesson that night. So yesterday I ran into an old acquaintance that I haven’t seen in 10 years. She recognized the name of one of my friends who used to throw parties, about 10 years ago. I told her that my old buddy is now living in Australia and that I missed his inspiration. I went to bed shortly after reading an email from a life-coaching friend who stressed the importance of working collaboratively. “…life is a team sport and to get to the Superbowl we need a lot of support from many different avenues.”, she said. In my sleep I thought of my buddy in Australia… and, little did I know, at that same moment, he was typing up an email. I haven’t heard from him in about 3 months, yet the next morning, I read his email where he was asking me to help with a visual effect he wants to do, which is practically identical to an effect I have been playing with for months. This was the day I planned on diving into 3D to tackle it. His email has provided me with additional motivation to get things moving again. As a cherry on top, he finished his email by tagging it with “Batman” as his signature. Heh. Last night was a late night watching horror movies with the roommate and his lady-friend. They started with Hackers and eventually moved onto Night of the Living Dead and finished up with The Fly, starting Jeff Goldblum. While they were on the couch, I was in back of them on my computer, looking at Boardgamegeeks.com for a specific boardgame, and local store locations where I could find it. One store was mentioned as a great place to find deals. They said it was next to a store I frequented quite often. I thought, “Well, if I’m in that area, I’ll definitely stop in.” I gotta get my boardgame fix sometime soon, and Fury of Dracula is calling my name. The next morning, I headed downtown to take care of some errands. While walking across the street, in search of a cheap electronics store, I saw a familiar face. It was not someone I knew well, but definitely someone I had conversed with. Judging her by her dreadlocks, I assumed I knew her from 10 years prior, when I used to drive up and party in this city. I locked eyes and she had a look of, “Can I help you?” in her eyes. I immediately recognized the voice. Haha! I knew it! We did know each other!. She was on her way to the Occupy gathering and I told her I was looking for Futureshop. She told me that we were going the same way, so I asked if she wanted to walk together and chat. We were an odd couple, her with her dark skin, dreads, and BMX bike, while I was clean-shaved, wearing a button up with cuff-links. I mentioned how I liked that the Occupy movement was not setting any demands. I told her that I recently have been trying to give up labels and definitions and that it has opened up so many more possibilities. She had differing thoughts, but we had a great dialogue. I had mentioned to her that my neighbor had a terrible accident and that she might have heard about it in the news. Eventually we reached a point where we had to travel our separate ways. As I continued my path, alone, I thought of our conversation. After a few minutes, my thoughts were distracted by some toys in a store window. I took a step back and… what? “Wait? This isn’t supposed to be here, I thought it was on the other side of town.” I thought. It was the store I had been researching the night before. As it turns out, the store that it was supposed to be nearby had two locations. I popped in and found the game I was looking for, and it was significantly cheaper than anywhere else I had looked up online. Last night, while walking home from dinner with my roommate, I noticed a pile of stuff outside of our loft building. A box, full of National Geographic Magazines had a special issue of “Water” peaking from under the box flaps. 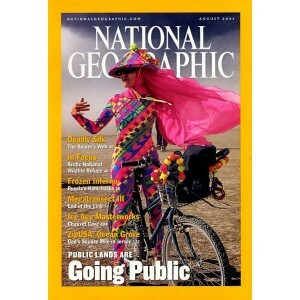 I picked up the issue and underneath was another issue with a woman, wearing a brightly colored outfit, on a bike, in the middle of the desert. “Burning Man!” I thought, and picked up the issue and immediately opened it. Inside, is an article about the Chauvet Cave in France. In the last few days, I’ve had a few people recommend I see, Cave of Forgotten Dreams, which was recently released and is about the Cauvet Cave. I’ve been wondering what this was all about, and looks like I have a way to find out. 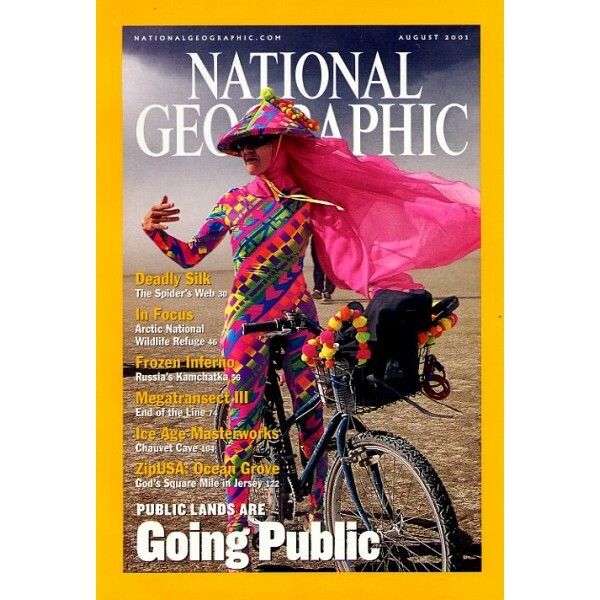 This August 2001 issue of National Geographic had a photo on the cover from Burning Man as part of the article inside about public lands going public. Last night I met up with Dave, a new friend I met on Capitol Hill the weekend prior. Coincidentally, he’s from Mt. Clements, Michigan. 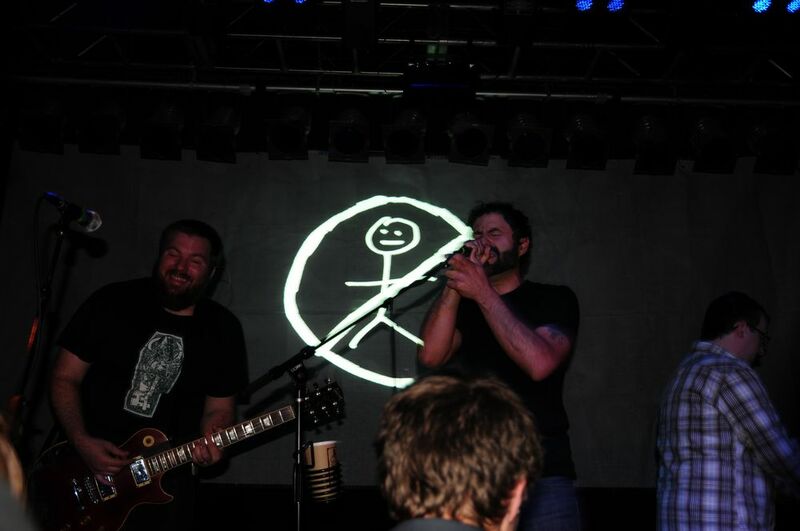 Dave highly recommended that I checkout Pinback, from southern California, so there we were. East Side crew in full effect for a concert at Neumos. Dave is a musician. 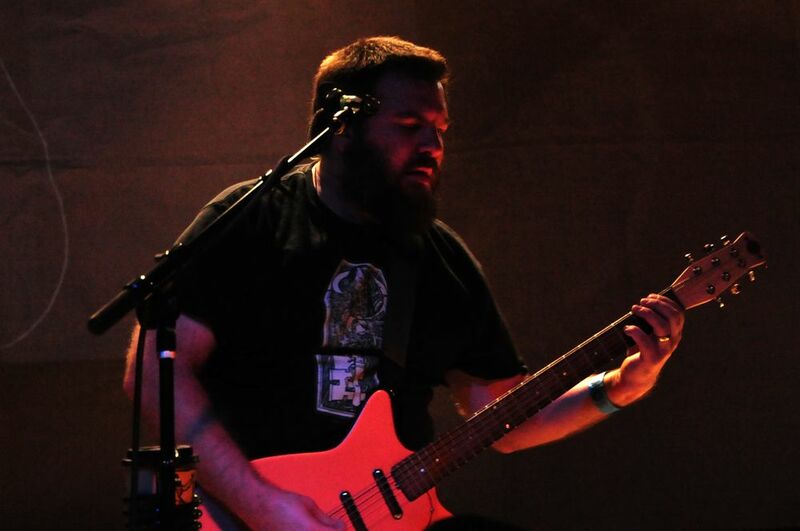 He shared with me stories where he almost played for some very well known bands, and that he would do just about anything to play with Pinback. Well, little did we know, life had some interesting stuff in store for him. The opener, Little White Teeth opened. They were pretty good, though we only caught the last half of their set. Next, Pinback came on stage. One of the two members of the band was not able to make it to the show due to a recent addition to his family. 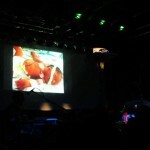 The newborn child was projected on the screen to emphasize the point. Daddy was not going to make it to his performance. 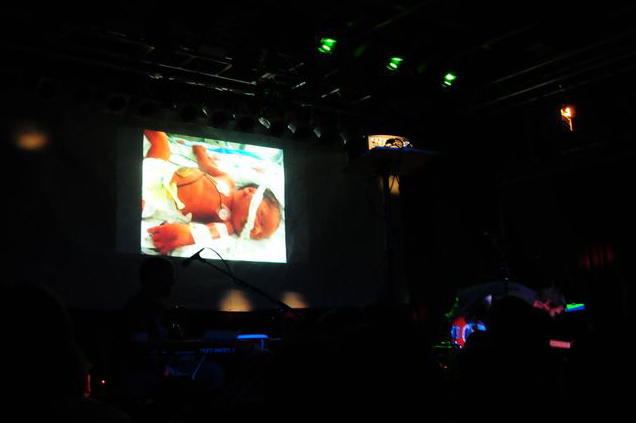 So, Rob Crow performed solo, so that his partner could be with his newborn baby. Rob was having a hard time, as he only had one day to prepare. Luckily, members from the opening band helped out a bit. Soon the crowd was making requests that Rob was having a hard time fulfilling. At one point, he said, “I just need someone to sing this.” I pushed Dave forward, toward the stage. He turned and smiled before running up and jumping on stage. Rob said to the crowd, “I don’t know what lyrics he singing, but it sounds better than ours!” At times like this, it certainly pays to be a musician… because Dave nailed it. A little flower girl ran up to Dave as he stepped off the stage. That was the last I saw of Dave that night.